This is the only snow-capped volcano in the world where the equator crosses the glacier. 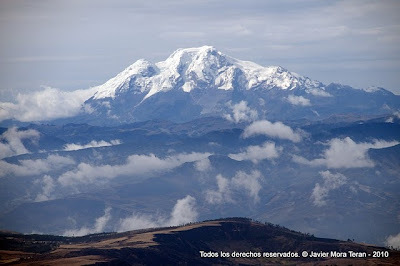 It is located in the Cayambe - Coca ecological reserve and is the third highest volcano in Ecuador. Its large glaciers offer the opportunity for skiing. The ascent to the summit does not present serious difficulties. There is a hut at 4600m. which offers a good shelter for climbers. Highest mountain in the world which is bisected by the Equator line. Third highest mountain in Ecuador. Moderate climb, near the top several large crevasses. Accommodation in refuge at 4600m.